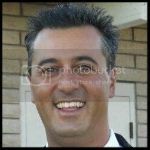 Carlos Gonzales is the owner of New Look Power Wash and Enviro Bio Cleaner in Northern California. Carlos created New Look Power Wash in 2001 after a successful career in the private sector as an executive in the direct marketing and dot.com industries. Enviro Bio Cleaner was created in 2012 after he saw an opportunity for a environmentally friendly soap for use in the world wide pressure washing industry. Carlos’ entrepreneurial spirit and strong marketing background was the perfect recipe for creating New Look Power Wash and Enviro Bio Cleaner. He continues to use his expertise to train and advise newcomers as well as the more seasoned contractors in the industry. Carlos is the Founder of the current United Association of Mobile Contract Cleaners (UAMCC) and attends conferences throughout the year to support and advise on the challenges to the industry and the progress made within the industry. Igor Zaric is the Owner/Operator of Dirt Fighter out of San Diego Ca. After having a Trucking Brokerage and Real Estate career, Igor was looking for something different. He Accidentally discovered the pressure washing and got involved. The people he met were fantastic and he received great help from the best contractors around the country. He credits his many dear friends and mentors for helping him to get to where he is at today. Because of the wonderful help he received he is very happy to give back to our industry. He feels blessed that he was put on the right track from the beginning and wants to give other contractors the same opportunity. One of the most vital sales strategies for mobile cleaning contractors is getting on a commercial vendor list. Service contractors often wonder why they have no place with larger customers. Inside corporate America systems lay the secrets of becoming a vendor. Without the knowledge of the how, when, and where you will never have a chance with some companies no matter what decision maker you have in front of you. Learn how to get called by the customers instead of you calling them. With over thirty years of experience in the pressure washing industry, Ron has many secrets to his success that he enjoys sharing with others. LeiLani Chostner is the Director of Marketing for UAMCC and has over ten years of industry sales experience with unsolicited bidding. She is responsible for helping promote contractors to their customers through the UAMCC, social media, and SEO. She has oversight of several UAMCC programs and has strengthened this organization in countless ways. While many contractors respond to requests from potential customers for project bids, Leilani has specialized expertise in UNSOLICITED BIDDING. You will not want to miss the great insight that she shares with hundreds of contractors to create business from scratch. Jeremy Jennings was part owner of his first SEO Company named NewportSEO.com in early 2000’s. Doing very well ranking other peoples websites they decided to quit taking on clients to focus on their own business projects. At that time Jeremy formed a Direct Marketing Company named MailingList.org in 2009. Enjoying great marketing success Jeremy decided to invest in another business venture and formed Washed Out Pressure Washing in 2011. Washed Out Pressure Washing was able to clear six figures in its first full year in business due in part to the help of the UAMCC members and the marketing background that Jeremy brought to the table. When he’s not working he enjoys spending time with his wife and 2 yr. old daughter and chasing fish offshore in the Pacific Ocean . Tony Shelton is the founder and owner of Sonitx (www.sonitx.com) as well as a member of the UAMCC Board of Directors. He is a leading expert in the area of environmental concerns and has a unique depth of understanding of such federal laws as the Clean Water Act and is ready to help contractors sort through the complicated issues of local permitting. Tony along with the UAMCC Environmental team are defender’s of contractor’s rights and have traveled the country extensively to ensure contractors are not impeded by local municipalities. If you have ever had any conflict with local authorities over pollution issues, Tony and the UAMCC Environmental Team stand ready to assist you. If you would like a greater understanding of the National Pollutant Discharge Elimination System (NPDES) permit, you will not want to miss Tony’s seminar. Come to the FREE National Convention and watch him explain and teach you firsthand about environmental concerns in our industry.